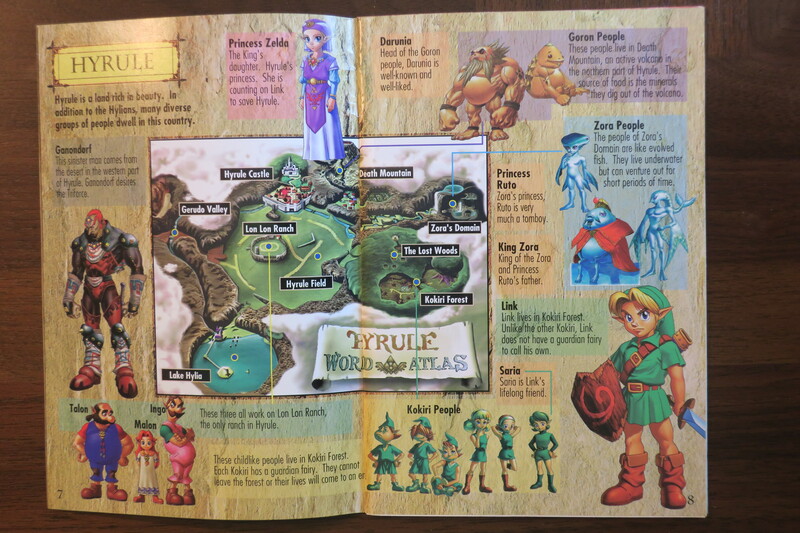 Let’s Talk Video Game Manuals, and 3 of my Favorites! 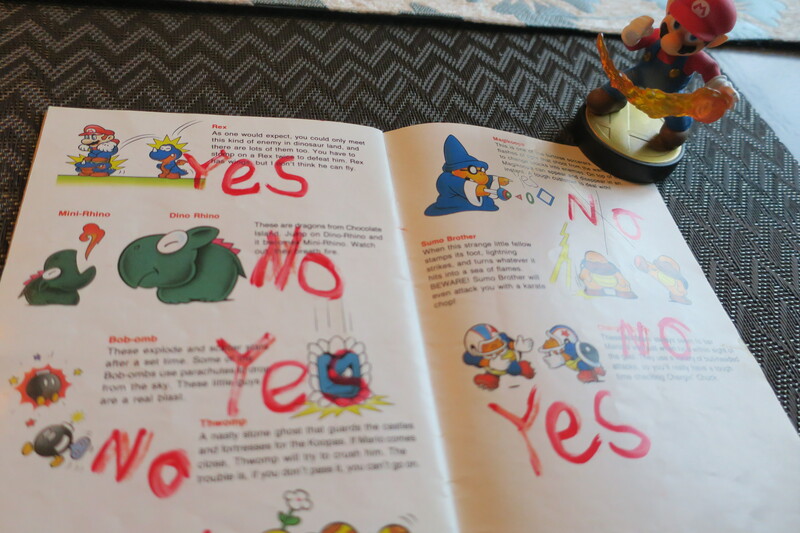 Ahh – the video game manual! Never has something so great been accompanied by something even greater. Peanut butter and jelly? Ha! Total snooze-fest! Steak and potatoes? Yeah, ok, like that ever caught on! But the video game and the video game manual? Folks, we have our winner. In 2017 it really is a lost art form, sadly. As the game publishers seek to cut costs in every conceivable way and banish the concept of physical games forever, those of us who still have our collections from childhood unknowingly have a veritable treasure trove in our basements, attics, and closets. Upon digging through my closet and packing my things in the days and nights leading to the purchase of my new home mere months ago, I happened upon a mysterious box that hadn’t been open in quite some time. A slow, dramatic open revealed the presents within: each and every one of my video game manuals since I was a kid. Spanning from the user manual to the original Game Boy, the Super Nintendo set up guide, advertisements from decades past, and everything in between. I have yet to count how many manuals I actually have, but I would wager the number lay somewhere between 100 and 150. Every once in a while I curse myself and all that I grew up around for not having the foresight to keep all of my boxes, but keeping the manuals practically makes me forget all about those bulky boxes. 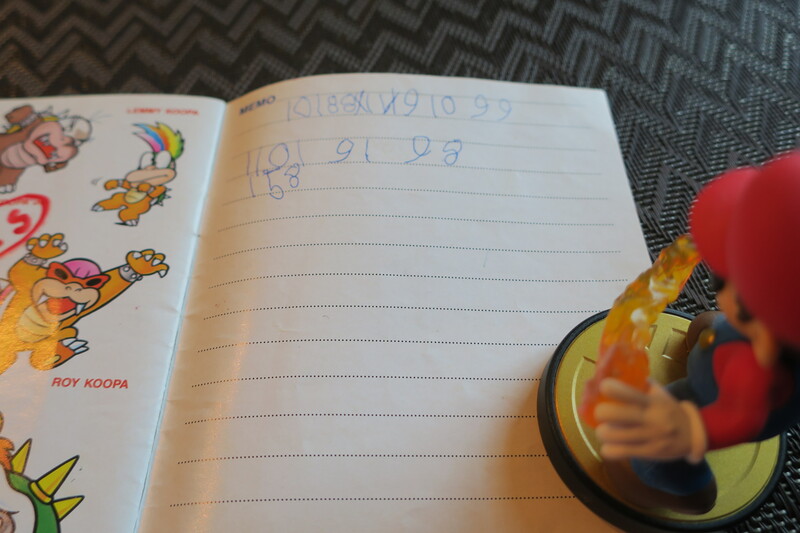 After all, cracking open the manual was the real treat – once the box was open, what kid was going back into it? Using an envelope opener, I’d slide around the cellophane seal, so I didn’t tear any of the edges. Gently fold out the flaps and press them down on the other side, to expose the white cardboard box within. Shake the box a bit to slide out the white cardboard, gently removing the game (still wrapped in plastic), the manual, and all the legal FCC paperwork. Peel open the gorgeous full-color manual and bask in the glow of essays of information about the game I was about to partake in. Only after sifting through the manual and reading everything about the game, that I would get down to business. It was rare that I’d skip this ceremony – learning everything about each game was the most important step before starting it. Of course, in 2017, it’s rare that you see these beautiful manuals. It’s a lost art and while some gaming companies insist on keeping things traditional and releasing them for their games, they are certainly in a minority. I decided to go through a few of my manuals have a bit of a stroll down memory lane. And what a stroll it was! I can be a very sentimental creature, with even the slightest inkling of my childhood sending my concentration off the deep end, and this was no exception. Game Boy, Super Nintendo, Nintendo 64 – each and every manual I glanced over was already cemented into the mental filing cabinet of my brain, and it teleported me right back. Let’s open that drawer up and take a look at three of my favorites, shall we? As an aside, I took these with an actual camera instead of the usual iPhone, so clicking each image will bring you to the full resolution image. Mobile users beware, as those files can get rather huge! But on a desktop or Wi-Fi, you’ll be able to read them much better. Enjoy! The game franchise that took up most of my gaming time on my first-ever system the Super Nintendo: Donkey Kong! I always thought Diddy’s Kong Quest was the pinnacle of the series, with some of the toughest levels that demanded your unwavering attention and patience. Taking out this game was high up there on the list of accomplishments of a ten-year-old. Just like the game itself, Rareware was not afraid to go above and beyond with the presentation and the exquisite level of detail. Just look at this page detailing the entirety of Diddy’s move set! Of course, Dixie had her own page as well. At this section of the manual, it practically went full comic-book while describing each area of the game. 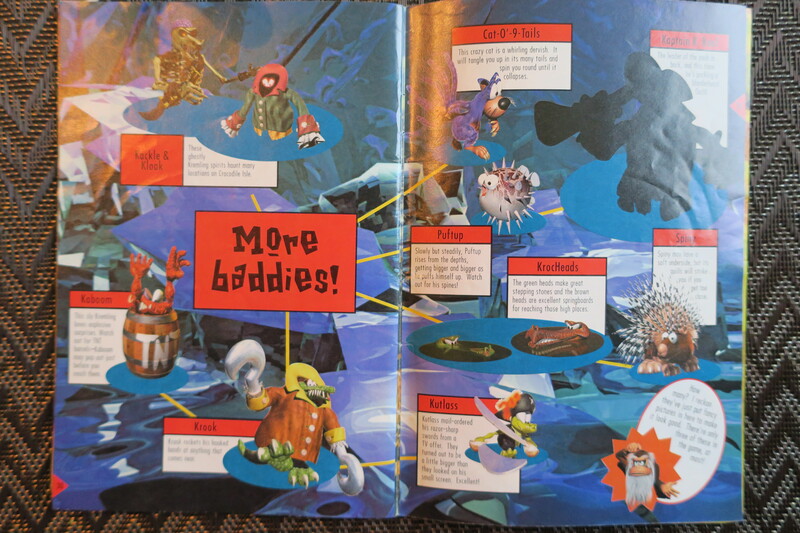 You also get a great shot of Cranky Kong in the bottom right, who appears pretty much throughout the entire manual, complaining about something! 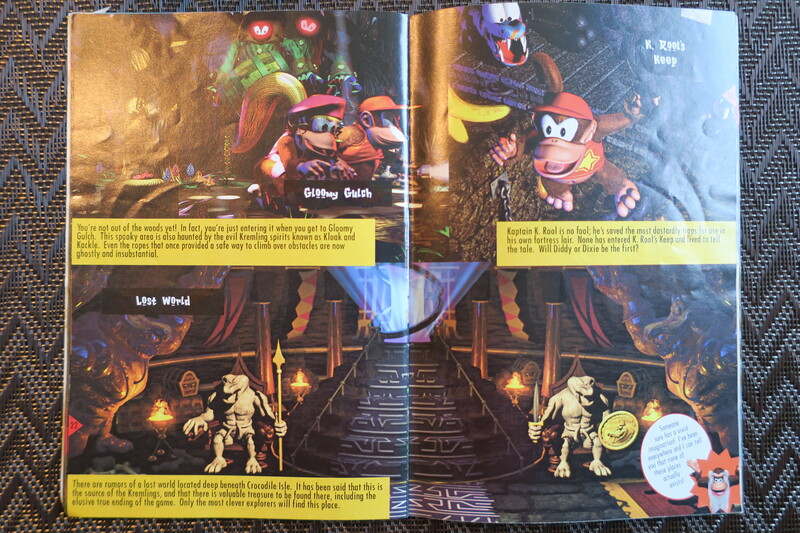 As the Donkey Kong Universe is home to all kinds of freaky creatures and bad guys to jump on and roll into, the bulk of the second half of the manual is dedicated to talking about them. 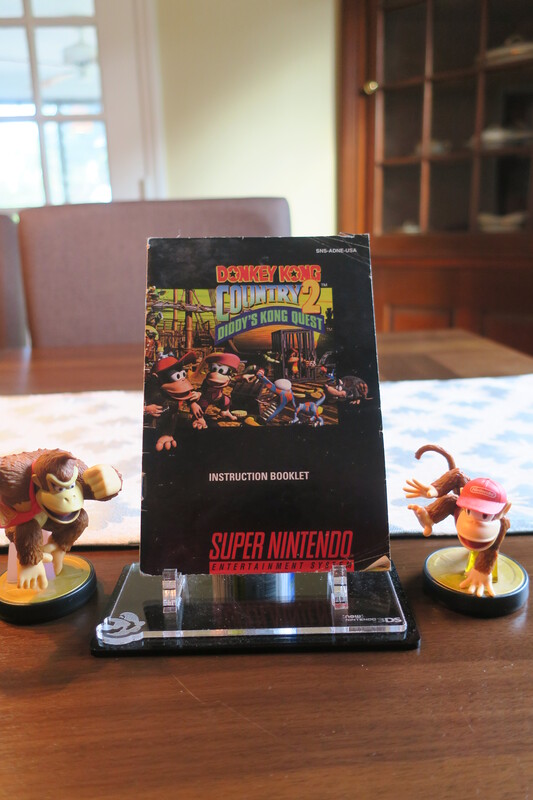 I have the manuals for all three Donkey Kong Country games, but Diddy’s Kong Quest always held a special place for me. 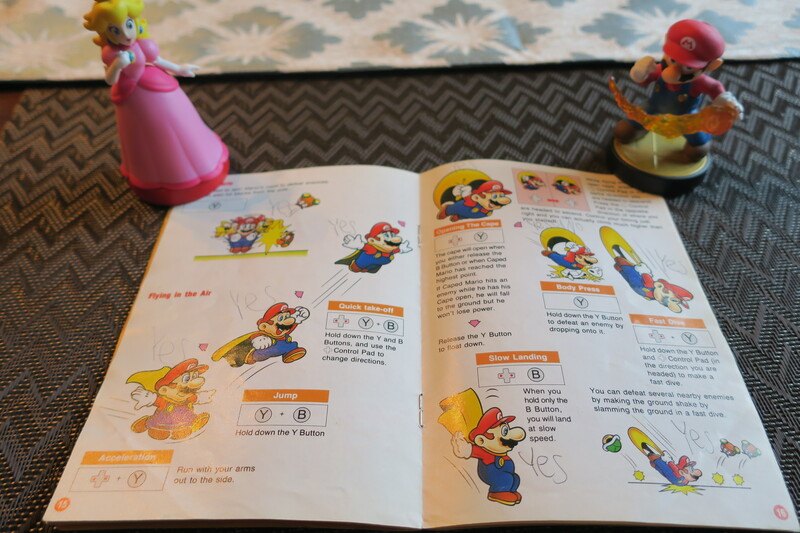 The humor was right on point in that installment, and the beautiful manual had all the traits to match. While this one might seem obvious given how much of a Zelda fan I am, I added this one because of just how much time I actually spent reading this one. See, at the time where Ocarina of Time and the Nintendo 64, in general, had taken over all manner of suburbia, it was a huge portion of what young men talked about over many a lunch table. 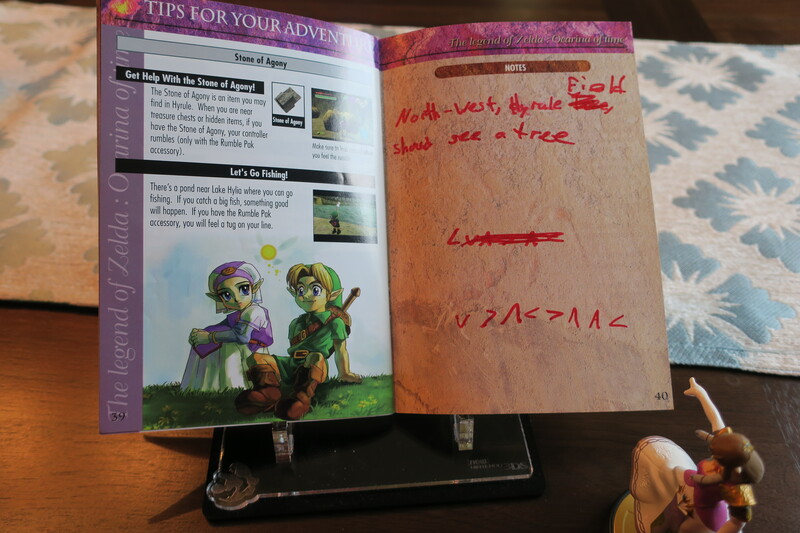 And how could you be on your Ocarina of Time trivia game without your trusty instruction booklet? There were all kinds of goodies in here, but knowing everything about the story and motivations behind the characters were required if you didn’t want to risk looking like you didn’t know something about the most beloved title of 1998. 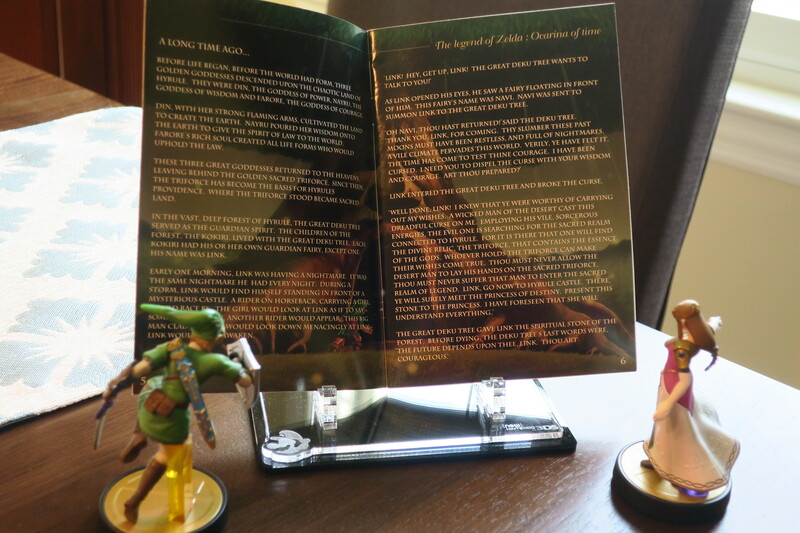 Sometimes even Link and Zelda need to read up on their own Hyrulian history, and luckily the instructional booklet didn’t leave anything up to question! 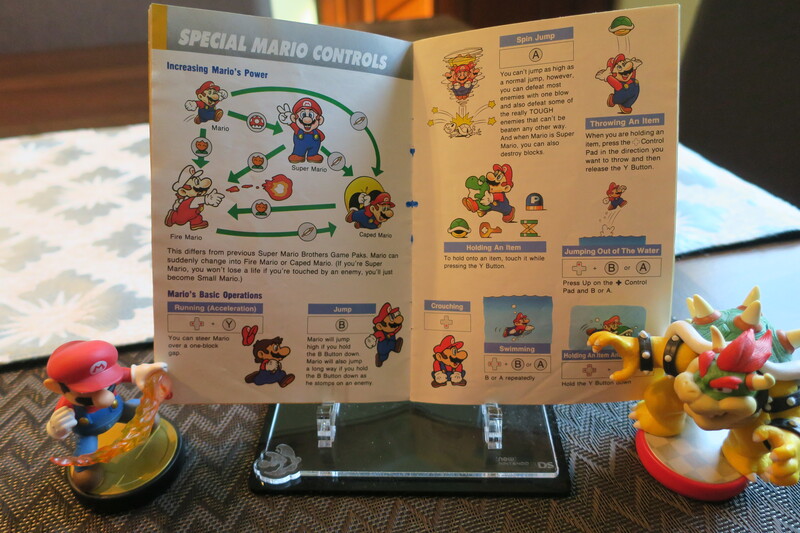 They did a great job cramming everything they possibly could into this manual. Notice the majestic Deku Tree in the background! I used to love when they would include little “tips” sections in the manuals. Even though 9 out of 10 of them would be obvious and/or totally useless, you’d always find that one thing that you hadn’t quite picked up on yet. I’m not exactly sure what point I was trying to make here, but seeing my ramblings from my 11-year-old self was pretty cool! Anyone reading have any idea what I was trying to say? 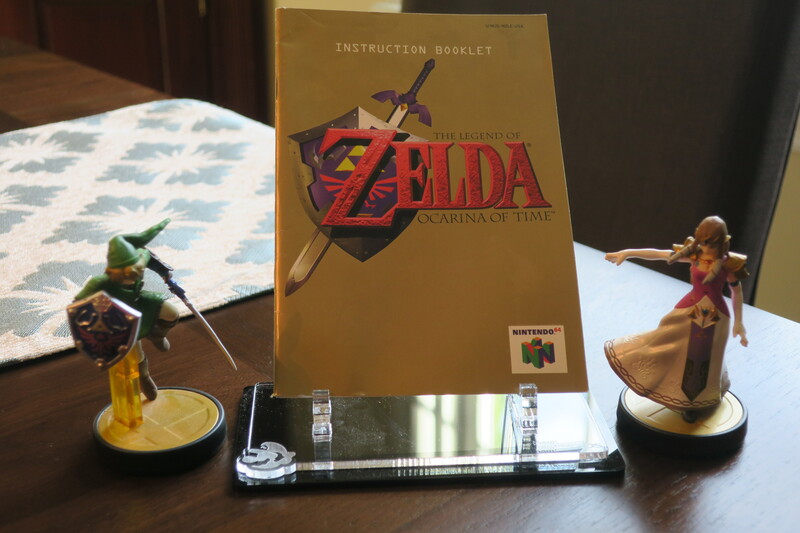 Like a handful of game manuals, Ocarina of Time was one that traveled with me a lot. It got to a point where every single page was hammered straight into my memory. Looking back, it’s no wonder I want to play that game again at even the mere thought of it! 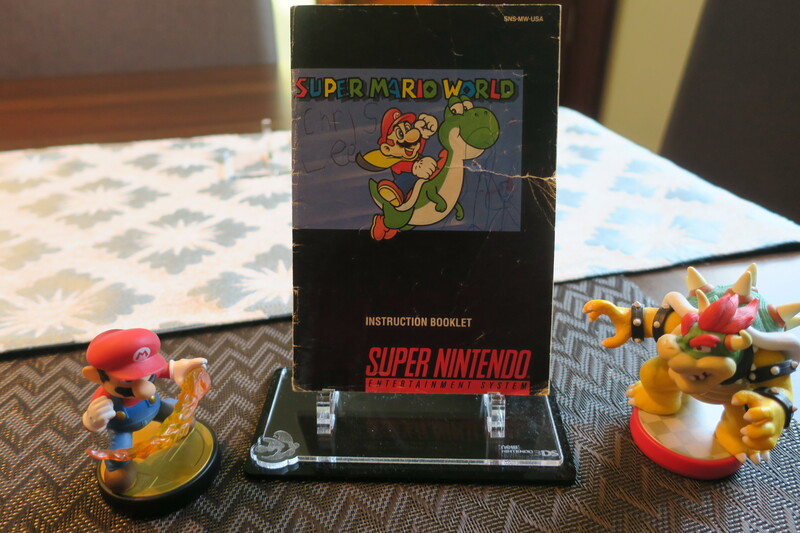 For the last game manual today, I point you to none other than Super Mario World, my first foray into video games when I was five years old. While it took me literal years to finally beat as a child (although my speed run time is now around 20 minutes! ), this game is what really started it all. I have the manual to partially blame and also thank for the obsession. It was just perfect. Just in case anyone tried to steal it, luckily, I made sure my name and marks were all over it. To a five-year-old, knowing moves to your favorite video game was paramount to eating and drinking. This handy guide ensured it would be completely impossible to forget anything. And in case I did forget, luckily I came up with the brilliant idea to mark the tasks that I had remembered. 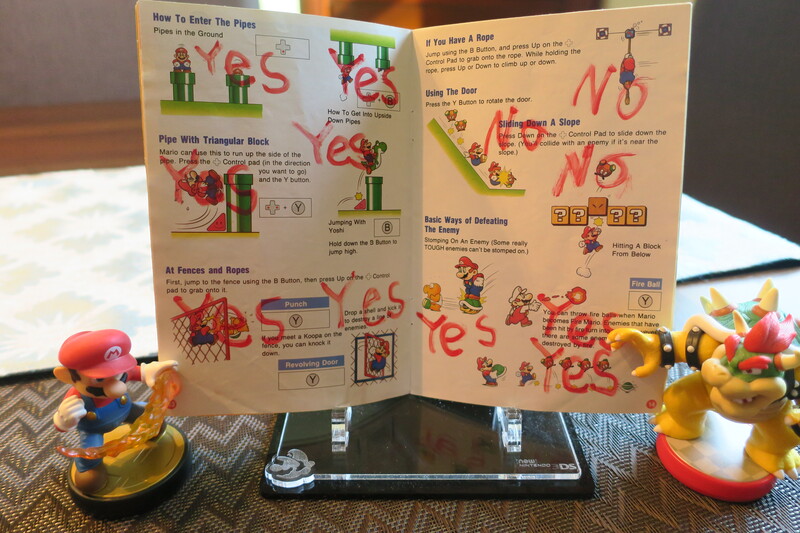 What exactly is a big red “NO” in the manual supposed to mean? Well, I’m not totally sure, to be honest. If I had to guess, they’d be things that I had done in the game so far. This pattern of marking every last entry in the manual continued for practically the whole thing. At one point I evidently ran out of red ink, but the point still stood. I had done those things, and for some reason I viewed the instructional manual as a “to do” list. And, boy, I did most of those things. I did eventually find those rhinos, by the way. If I remember correctly, they were in those awesome, auto-scrolling cave levels where you float on the lava! Of course, all of my vital five-year-old thoughts needed to be jotted down. Thanks for the memo section, Nintendo! What’s your favorite manual? Did you skim them, or spend hours gushing over them before even touching the game? Let me know in the comments. Thanks for reading this incredibly niche post for a demographic of precisely 5 people. Leave a Like and please share if you found this in the slightest bit entertaining! Previous Post Previous post:Post-Holiday Update / Complaining! Oh man, this is a fantastic article. I can tell why it is your favorite. Did you have more of these? I dug around the site, but didn’t see any. A fantastic idea and the amiibo are a nice touch. Man I miss manuals. Especially with JRPGs flipping to the character section and reading about each party member with a graphic there was my favorite part of getting a new game, outside of playing it of course. I would open the game in the car and read as my parent’s drove me home building the anticipation into a fever pitch. Good times. Thanks so much Daniel! This was certainly a nostalgic piece and exactly the kind of stuff I wish I could put out more often. It was really tough actually deciding on which manuals to use for this article, but the good news is that I still have probably over a hundred other ones from the OG Gameboy to N64 and PC games, so I’ll definitely have to make a part 2 soon! Thanks again for the feedback my man. Maybe you can do a weekly feature wherein you go through and cover/review each manual?! Perhaps even set up an Imgur account specifically for the project and create an album for each manual where you take huge resolution photos of each page and run it through an OCR so each image has an accompanying text-based version of the page contents. Not only would it be awesome but it would also potentially be a great resource for posterity. I’d surely tune in weekly for “This Week’s NostalgiaTrigger.com legacy Manual”. Yes! 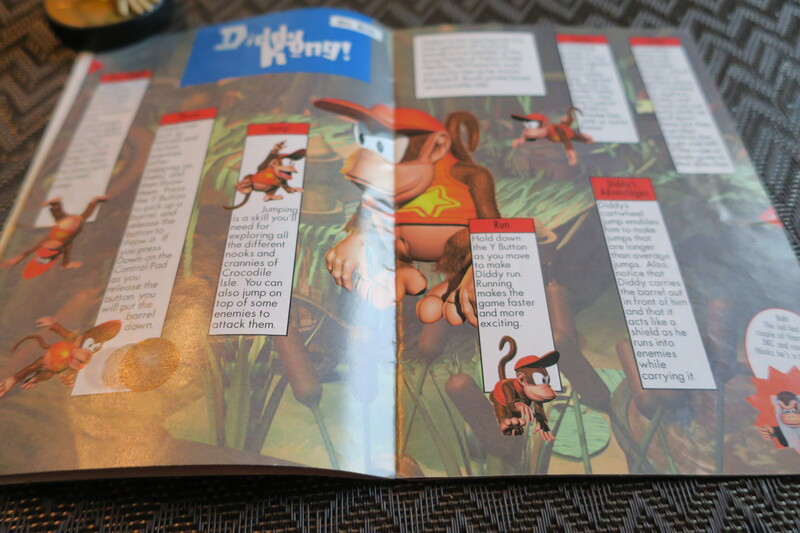 I LOVE the DKC2 manual. Cranky is a hoot, and I’m glad someone else besides me appreciates how hilariously written that one is. I’m also a fan of the Pokemon manual, dubbed the Pokemon Trainer’s Guide. It was my Pokemon bible before I ever had a strategy guide for it. I love how much detail was put into that 50+ page book… for a Game Boy game! Manuals are awesome. I used to sit down and read a bunch of them at a time for fun, no joke. And it was always the first thing I studied as soon on the car ride home after receiving a game. I’m saddened that manuals have mostly gone the way of the dodo, but I’ll always have my old copies. of Time has to be my favorite manual. in the short & long term. All the best. What I love just as much as poring over manuals is sniffing them profusely. There’s nothing like the smell of a brand-new manual just extracted from a freshly opened case; the mix of ink and glossy paper creates a smell that’s unique yet instantly recognizable, a smell I just can’t get enough of. It’s not a stretch to say that the ousting of manuals during the last console generation considerably reduced the pleasure I derive from collecting games. I always feel this pang of disappointment when peeling away the fold from a brand-new game and opening the case, only to discover a lone cartridge. No matter how many times I encountered this situation over the past years, I invariably get the feeling that something is missing. The removal of the manual in new games definitely makes it less worth collecting, although I’ll always buy only physical, it is considerably less satisfying, as you said. I’ve loved collecting for the Vita, but after nearly every single game I’ve bought has nothing inside, I’m kind of done collecting for it. There aren’t really any other games I’m after, and LimitedRunGames don’t seem to care much about manual inserts. I think Shovel Knight is my nicest physical copy on the Vita, and even that one was an exclusive from FanGamer IIRC. Like not even a sticker or anything in these boxes these days. Come on! Yaaaaaas. I love manuals! I bemoan the death of them as I used to read them cover to cover when I couldn’t play them as I could still be part of the experience. I remember the Baldur’s Gate ones being so full of information on the world. You don’t get that kind of world building any more. I’m amazed at what great condition your ones are still in! Ahh yes, Baldur’s Gate was fantastic! Sadly I do not have the box or the manuals but I still have all the CDs, not like that means anything nowadays 🙂 They’re all pretty much in pristine collection. I’m thankful towards my childhood self. Thank you very much! Glad to hear it resonated so much, wanted to share the nostalgia feels 🙂 These were in pretty great condition, I’ll definitely do more of these as there are some that look like they came straight out of the box. Most of em are mint!